Norwood School Football Team 1968-69. Photo courtesy of Barry Thompson. My little squirt of a brother David Rose, back row, far right ! What a combined Junior Team . The Endowed juniors combined with the County Juniors. The Endowed School became infants only in 1968 and I transferred along with all the junior children to Killamarsh County Junior School. 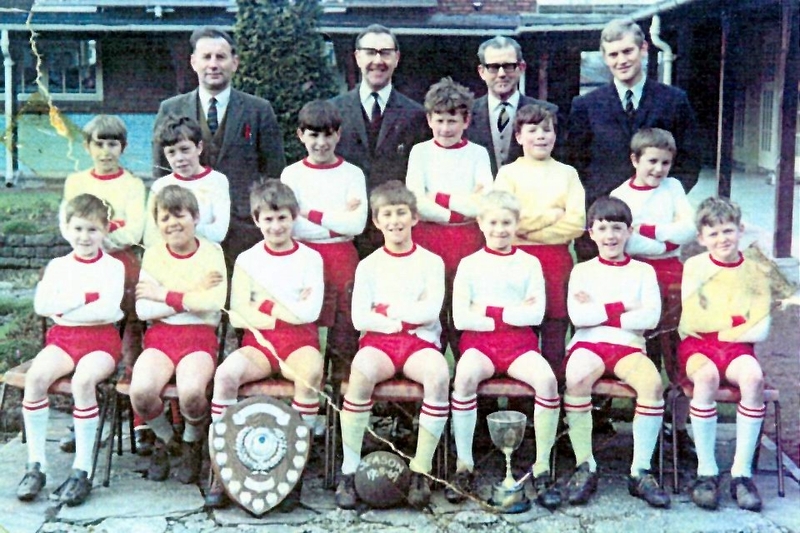 The resulting Soccer Team, consisting of 7 Endowed boys and 7 County boys won the N E Derbyshire Junior League together with the Sheffield United Trophy and another Cup. It was a real privilege to teach and coach these lads. John Swain.